You may have several drawings open at one time and want to switch between/among them. 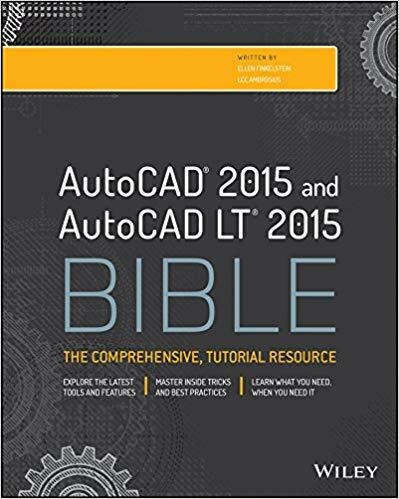 AutoCAD gives you several methods to do so. I can think of four. The Windows taskbar can show a separate button for each drawing. The system variable for this is, appropriately enough, TASKBAR. When set to 1, you’ll see a separate button for each drawing. Then you can easily click the drawing you want to display it. In Windows 7, the default value for TASKBAR is 1. However, in earlier versions of Windows, the default is 0, so you need to change the value if you want separate buttons. Just type taskbar, press Enter, type 1, and press Enter again. Just press Ctrl + Tab to cycle among your drawings. Thanks for Franck Wallez for this tip. Click the Quick View Drawings button on the right side of the status bar. You’ll see a display like this. Click the thumbnail of the drawing you want to display. Click the Application button at the upper-left corner of your screen. By default, you see a list of recent drawings. Click the Open Documents icon to see a list of open drawings and choose the one you want to display. Which method do you use? Does it depend on the situation? Do you sometimes want to see a thumbnail of the drawing? Which method do you think is fastest? There is also the “Switch Windows” command button, usually located on the view tab of the ribbon. I have placed it on the home tab and find it much quicker than the other methods as it shows the drawing name only so you don’t have the delay of the previews being generated. I usually use the windows task bar because it is much faster than the “Quick View” method (which is anything but quick on my machines). The only problem with the windows task bar is it doesn’t show the drawing (I get a black area where the drawing should be and get a busy cursor, I’m assuming it’s trying to update the view). As R.K. McSwain , I use a drawing tab ARX add-on that places a tab for each drawing open in AutoCAD. The file is MDITab18.arx (for AutoCAD 2012). 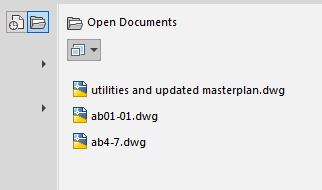 There are other versions for earlier AutoCAD releases. Unlike Drawing Tabs, MDITab has more options on the right click of the drawing tab. I find having a tab on the screen the quickest method to switch between open drawings, just one click. Google MDITab.arx to locate downloads. Once I’ve instructed it to switch to another windw (any of the above mentioned ways) it takes a long time for the new drawing to become active so I can click in the dwg. Though my AutoCAD 2013 LT is on a network for licenseing the dwgs files being switch are on the local hard drive. Any suggestions for shorting the time for the new window to become active? In my 2009 LT version it switched very quickly, like switching between windows applications. is ther a way to set autocad to automatically save a drawing when you switch from one drawing to another? 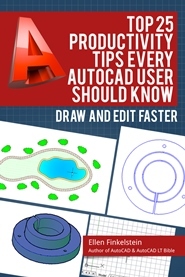 is ther a way to get autocad to automatically save your drawing every time you switch from one drawing to another.